New Delhi : And the day has come when Xiaomi launched two new smartphones to add up small liitle tech family in India. 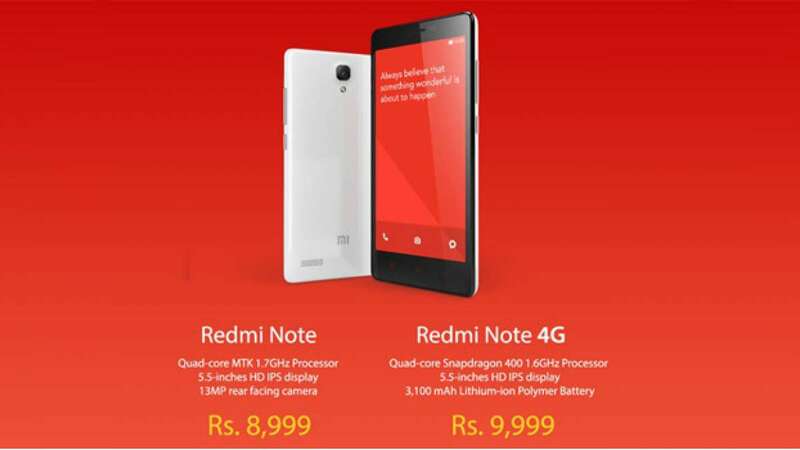 Redmi Note and Note 4G has been launched for Rs 8999 and Rs 9999 respectively. Both the version of the phones will be sold through Mi’s e-commerce partner Flipkart. Registration of the phone will begin on November 25 at 6 PM and the sale of the product will kick start from December 2, 2014.